Halloween costumes can offer a visual timeline into a child’s development and evolving interests, as well as a chance to “try on” a potential future role. A young girl who dresses as a doctor or scientist for Halloween may grow up to become one. As children grow into young adults, they may arrive at unmarked crossroads and turn to their elders for guidance, stability and protection. One of the best ways for a parent, grandparent or permanent legal guardian to help safeguard a child’s future no matter the crossroads is through a dependable whole life insurance policy. 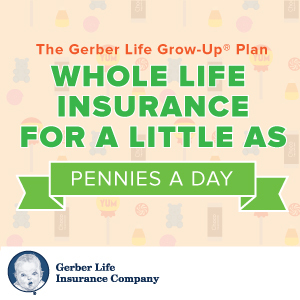 The Gerber Life Grow-Up® Plan1 grows along with your child, and into adulthood, providing a nest egg for the future and an important constant in an ever-changing world – a premium rate that stays the same, year after year, for up to the lifetime of your child, as long as premiums are paid. When you give the gift of the Grow-Up® Plan, you lock in a child-size premium that’s guaranteed never to increase. 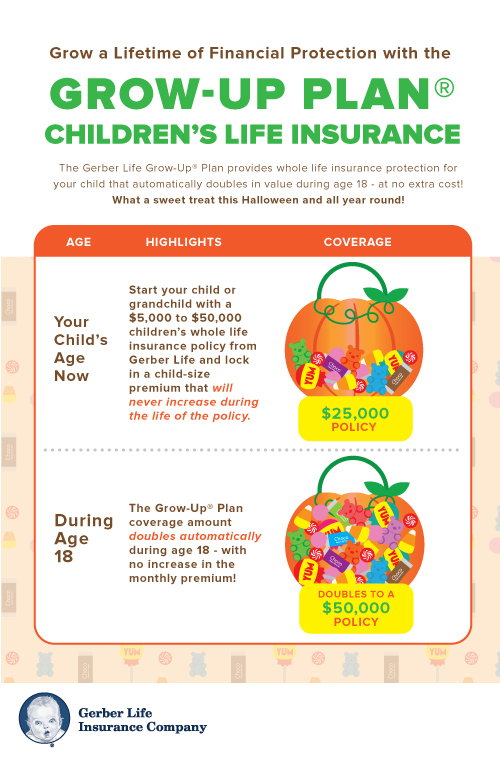 No matter the role that your child decides to play this Halloween – or in the years to come – he or she will find financial security of the Grow-Up® Plan. Check out the infographic below to learn how the Grow-Up® Plan grows over time, along with your child.